There was a focus last week on the ‘stay put policy,’; a policy the LFB use when fighting fire in high rise buildings. Most of the firefighters that gave evidence this week took the stand for several hours undergoing gruelling questioning and painfully recalling memories of what happen on that night. Their priority was to save lives, even if it meant at times risking their own. There was also a focus on the lateness in implementing an evacuation policy and how ‘Order of Command’ and/or Rank dictates when and if a change in procedure can be made. Usually this is an officer not fighting the fire! Evident last week, was that none of the firefighters were aware of any particular risks associated with the cladding. 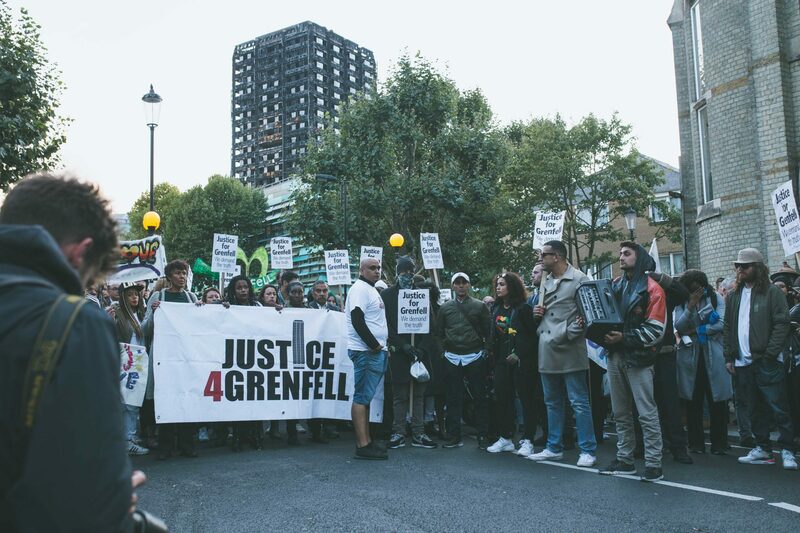 Finally, the Home Office could force bereaved families with Core Participation Status to return home before the conclusion of the Grenfell Inquiry; as their visas are to be limited to six months. Why in 21st Century Britain would our fire service have a shortage of basic equipment; including breathing apparatus, hose nozzles and door breaking equipment? How can the fire service enable those actually fighting the fire to move from a stay put policy to an evacuation procedure policy with urgency rather than awaiting bureaucratic responses? Do you think that the ‘stay put’ policy should be immediately suspended until all flammable cladding is removed from all buildings across the UK, and is completely banned? Could recommendations following the Piper Alpha disaster 30 years ago, have made a difference or avoided the Grenfell Disaster? By not issuing longer term visas to bereaved families, do you think that the Home Office is making the Inquiry is a ‘hostile environment’? Do you think that the firefighters evidenced this week at the Inquiry showed us that these are ordinary firefighters who did extraordinary things on June 14th 2018? Do we live in a society where some lives just don’t matter?